I had the privilege of interviewing Shokichi Tokita for my latest Seattle Times story. As a boy of 8, he was incarcerated with his entire family at the infamous Minidoka”War Relocation Center” in Idaho soon after Pearl Harbor. Mary Kouyoumdjian’s to open myself, to scream, inspired by Roma artist and Holocaust survivor Ceija Stojka, is at the center of MOR’s May 21 program. “Our mission is to speak out for oppressed people,” says MOR founder Mina Miller. 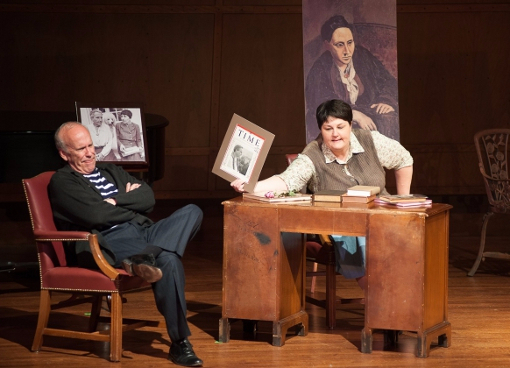 “Questions remember me,” sings the unnamed girl in After Life, the one-act opera by composer Tom Cipullo and librettist David Mason that received its world première on Monday evening in Seattle. Rounded up by the Nazis and sent from her orphanage in a French village to a concentration camp, the girl sings to us from the ‘other side’, the voice of a life stolen by the Holocaust. She knows she has been forgotten – yet the girl’s poignant questions make her presence indelible as she encounters the spirits of Gertrude Stein and Pablo Picasso in the afterlife: two famous figures who survived the war while also living in France.